All the newspapers are talking about and everyone admired her beauty. 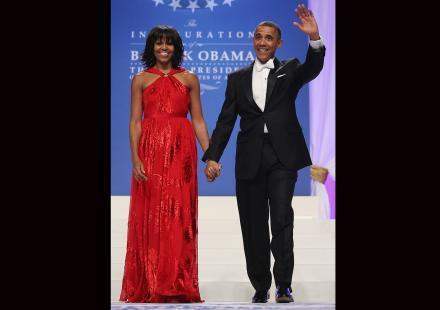 The dress worn by the first lady of the United States at the inauguration of her husband Barrack Obama has impressed many people last Monday. In fact, the dress has brought the first lady has surprised many people, starting with designer Jason Wu who knew the most famous first lady would wear his creation that moment she appeared. 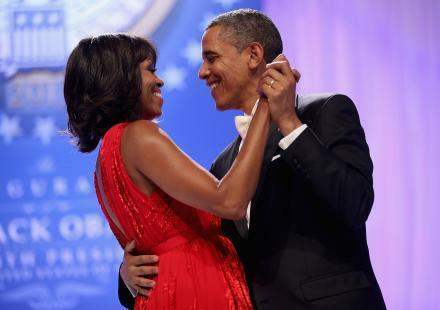 On Monday, President Barack Obama officially was starting his second term and his wife Michelle Obama was obviously with him to celebrate the event. The first lady chose an elegant red robe Jason Wu creation was a backless belted at the waist, with a train made ​​of a fabric of small details customized by Jason Wu. 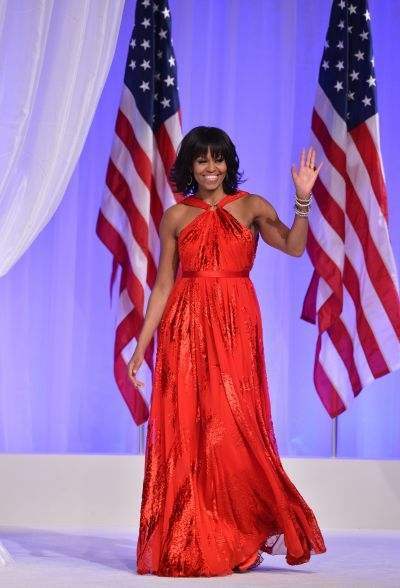 Previously, the designer had drawn a white dress for Michelle Obama when she was still new to Washington. The young and famous fashion designer Jason Wu, the designer of the dress that was bright red for American first lady inaugural ball of her husband does not always returned on Tuesday morning that the First Lady has again chosen to wear one his creations. The First Lady made ​​a splash Monday night by appearing in a robe of scarlet chiffon embellished with velvet flowers tone on tone, pleated across the chest. The dressmaker aged 30, who had already designed the white dress that Michelle Obama wore to the ball of the first presidential inauguration in 2009, said he did not know until the last moment when the First Lady was wearing his latest creation. He said he was glued to the screen. And he had no confirmation that it would be the dress until the end, until you enter the path to the stage. Like other outfits worn by the first ladies at the inaugural balls, dress Michelle Obama will join the National Archives Museum in Washington. The creator also said that this is something particularly incredible; it is a great experience and wants to continue to work even harder.